This #artwork is inspired by folk art traditions but is modern in style. The form changes, the meaning develops through the history. All in motion like this fantastic purple beast, flying towards brighter tomorrow. About 60.5 x 60.5 cm or 24 x 24 inches. 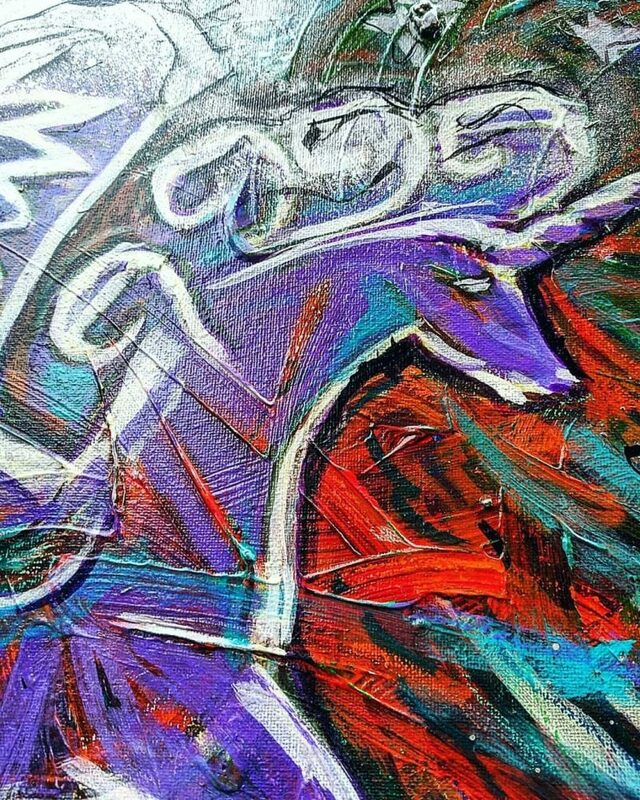 Tagged alternativeart, artwork, brushstrokes, ethereal, fairytales, fantastique, fantasy, FantasyArt, fantasydecor, fantasyillustration, folkart, folkinteriors, folklore, imagination, intuitivepainting, linandaras_art, magicalthings, mixedmedia, ModernArt, myth, mythical, neoexpressionism, outsiderart, pegasus, purple, symbol, symbolistart, thickpaint, unicorn.